FOMO’s core activities are Health Care, Education, Activities and Food Security, but the nature of the rural area FOMO operates in means we are involved in every aspect of the children’s and local community lives . FOMO has also become a purveyor of goods, an employer, designer, builder, social worker, educationalist, trades man, team builder, gardener, health care worker and provider of numerous other disciplines required to meet the needs of thousands of individual children and support staff/local volunteers. The financial support people have given FOMO since 2000 has enabled FOMO to reach out to thousands of children. For this work to continue and grow FOMO does need your support. FOMO has 14 centres located across Mulanje district. The centres range from grass huts, small rural churches to purpose built facilities. Of FOMO’s 14 centres 2 have mains electric, two have a generator and one has mains water, (sometimes). The remaining centres rely on local boreholes or ones provided by FOMO. Of the 6 purpose built centres all have the space for libraries and provision for medical units. All have kitchens, main hall and flush toilet facilities. Most have a centre vegetable garden. FOMO has a runs a secondary school, clinic and an office which for the FOMO admin staff. The office facility also house a computer, driving school, small recording studio and tailoring unit. FOMO provides health care education to all children, volunteers and staff. FOMO has an operational clinic and outreach programme. FOMO runs first aid courses for the children, staff and volunteers. FOMO provides one meal a day to all children attending one of FOMO’s 14 centres. This represents over 1.2 million meals a year. 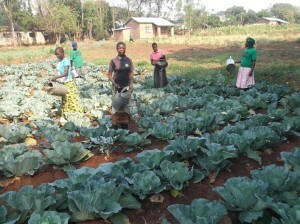 FOMO grows some crops, vegetables to supplement the purchase of food. Due to its high cost the provision of meat is limited to special occasions and Christmas. Standard 1- 8: FOMO provides educational materials and some private places. 2013 – FOMO opened a secondary school catering for 400 children from form one to form four. The school has 12 classrooms, toilets, admin block, hall, kitchen, labs, art room, computer room and library. We have built an 88 place girls boarding facility and are hoping to build boys hostels when funds are available. FOMO provides a limited number of places depending on sponsorship. Places have been provided for students to go to College, University, Computer, Driving, Business, Welding and Journalism schools. All FOMO registered children have free access to both the Computer School and Tailoring centre. 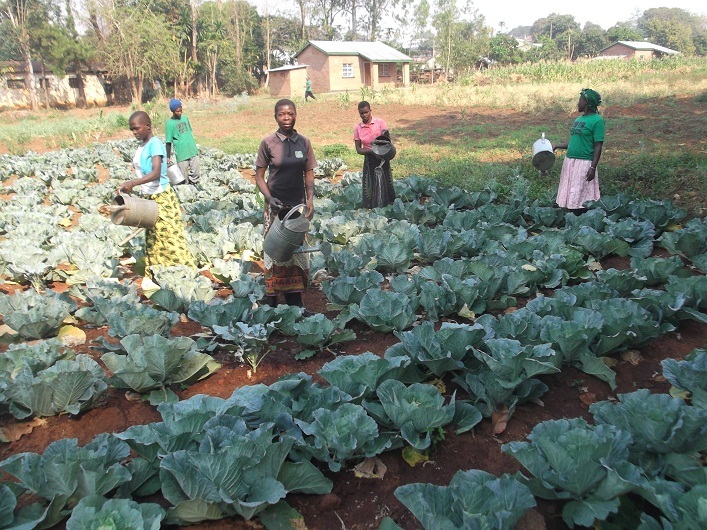 FOMO provides informal education on a wide range of activities including Gardening & Agriculture, Chickens, Sport, Cooking, Plumbing, Motor Vehicle, Electrical, and Tailoring depending on the availability of necessary skills. The FOMO football netball teams play in the district premiere league. All centres have football teams at all ages. FOMO started a Micro finance project helping women in business. FOMO campaigns for the children’s rights with regard to property, land and social welfare. FOMO mediates on the children’s behalf on issues affecting the children’s welfare. FOMO provides blankets, mosquito nets, clothing, school wear, shoes, and soap to the children. FOMO also provides specialist equipment for the few disabled children under our care. FOMO provides help to grandmothers with FOMO registered children and children headed households with repairs, (Including new roofs) cooking, (Pots, pans, stoves) and additional food. FOMO facilitates third party donations to community identified needs. Examples: Boreholes, medical equipment for the district hospital, tools, seed and food for the district prisoners, Government school block renovations, CBO activities HIV/Aids local patient care. FOMO has also provided computers to the Police, small holder tea association and Mulanje conservation trust.